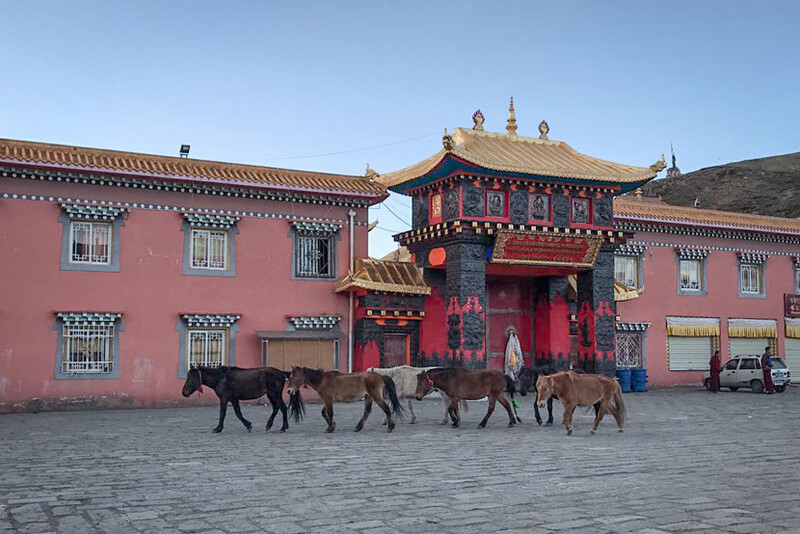 With tourism comes temptation and transformation in Tagong, a sacred site for Tibetan nomads. This article is part of a series that explores life along the Hu Line, an imaginary diagonal line across China that has vast demographic, environmental, and political significance. 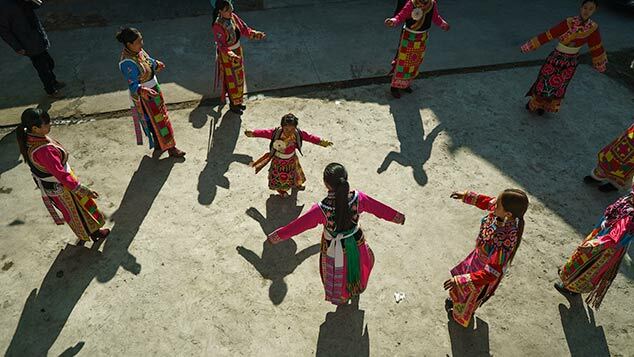 SICHUAN, Southwest China — At heart, Wosar Lhamo is a nomad. But these days, there’s not much time to roam the Tibetan grasslands in the western part of Sichuan province where she lives. 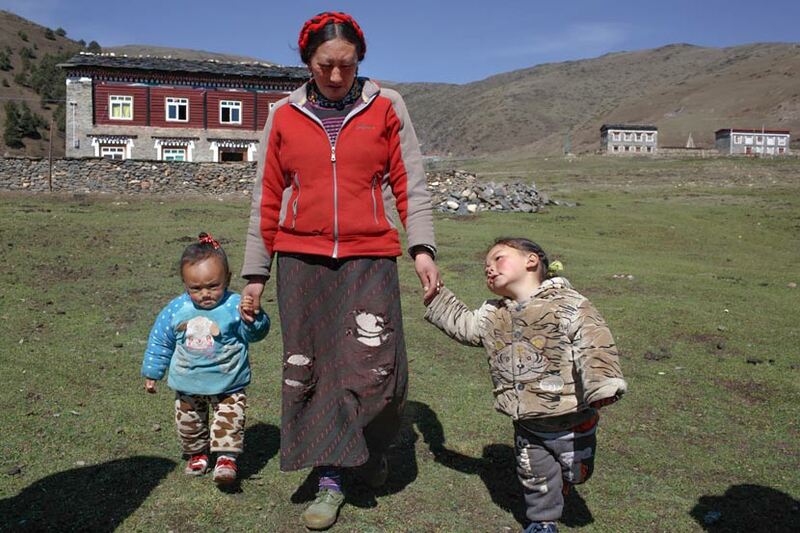 With three small boys — aged 4, 3, and 4 months — and a husband who is off laboring in the city for most of the year, the 31-year-old can only sit and dream of the coming summer, when her family will take to the lush green fields with their yaks. “That life is amazing,” she says, referring to the nomadic period. 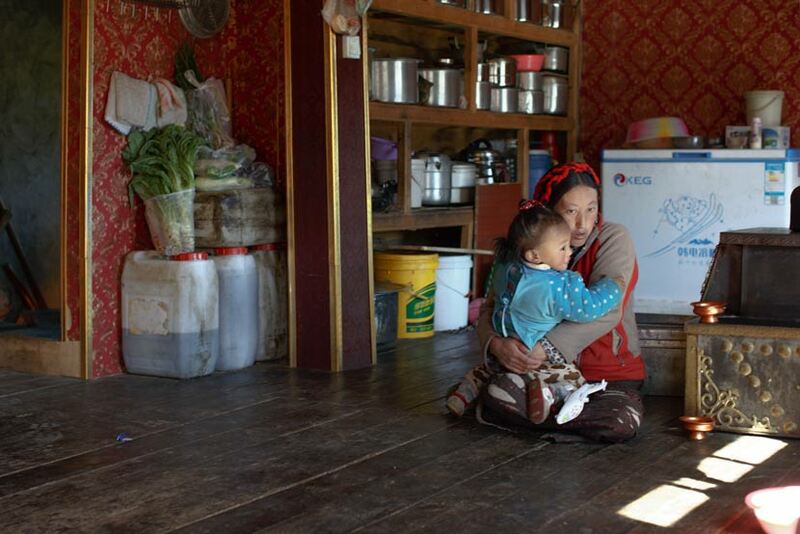 For most of the year, she lives in a two-story stone house just 20 minutes’ drive from Tagong, a small town of around 8,000 people — mostly ethnic Tibetan — surrounded by the snowcapped mountains of the Tibetan Plateau. Standing at about 3,500 meters above sea level, the town is high enough to cause altitude sickness among visitors. When Sixth Tone pays a visit to Wosar Lhamo, one of her sons cheekily peeks down from the second-floor window. This is where the family lives, eats, and sleeps, in one expansive room wallpapered in red and gold. Photos of Buddhist spiritual leaders fill one corner. Speaking Tibetan through a translator, Wosar Lhamo is reserved but hospitable, serving tea with yak butter and salt alongside churro-like pastries. As she prepares the tea on the stove, a large-screen television plays a Mandarin-language drama with Tibetan subtitles. Purchased last year for 1,500 yuan (around $230), the television has limited appeal. “I don’t understand a word of Mandarin,” she says. Despite her semi-nomadic lifestyle, Wosar Lhamo has never ventured farther than Kangding, a small city some two hours’ drive away. She went once to seek medical attention for one of her boys, but she worried for her children’s safety after hearing horror stories of kidnappings. The hospital was expensive and unfamiliar. Next time, Wosar Lhamo says, she’ll rely on a more traditional approach and turn to monks for guidance. “I prefer to just ask for blessings,” she says. Even if Wosar Lhamo has little desire to travel beyond her beloved grasslands, she can’t stop the world from coming to her door. It has already arrived. Ten years ago, life was simpler. I can’t explain, but I liked that way of life: my yaks, my home, the mountains, and the good environment. Tagong — or Lhagang in Tibetan — is fast becoming a draw for domestic and international visitors. With an airport nearby and none of the travel restrictions that hamper access to neighboring Tibet Autonomous Region, Tagong attracts tourists eager to get a taste of Tibetan life or to enjoy the area’s majestic scenery. In 2016, the Kangding municipal government promoted Tagong from a village to a township and earmarked it as a key area for tourism development. Yet while tourism is bringing fresh economic opportunity to the area, it’s also stirring up a cloud of greed, envy, and conflict in the tiny town of just half a dozen streets. In many ways, Tagong represents the typical dilemma of any tourist hot spot that risks losing its character as the crowds of visitors grow. But here, the tensions are heightened by the town’s traditional adherence to nonmaterialistic Buddhist values. 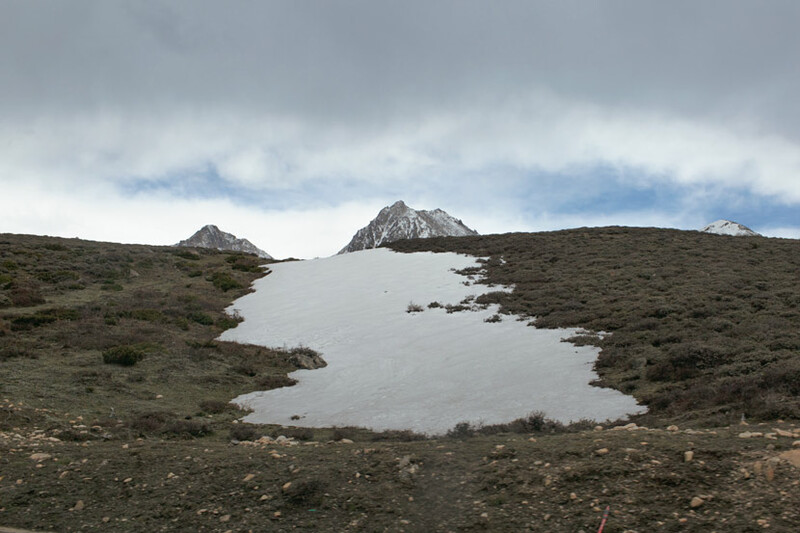 “Historically, Tagong is a sacred place,” says Kunchok Sherab, an ethnic Tibetan who works in tourism and goes by the name Kush. The town holds deep religious significance as the home of the Lhagang Monastery, a holy site that dates to the seventh century. One morning in May, devotees stride around the temple’s perimeter, spinning the pendulous prayer wheels that send bell chimes ringing through the crisp air. Now that Tagong has become a tourist attraction, says Kush, it is difficult to maintain certain traditions. In the past, for example, locals would provide accommodation free of charge. “Culturally, it’s the duty of a [Tibetan] family to serve all guests,” he says. 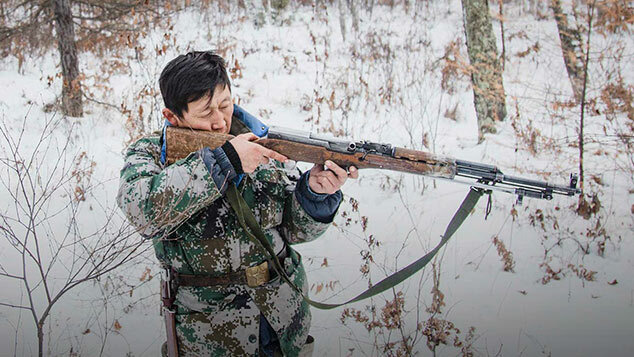 Originally from a remote part of neighboring Qinghai province, 38-year-old Kush has spent much of his life abroad, including stints learning English in Southeast Asia. He now lives in Chengdu, capital of Sichuan province, where he works for Plateau Homestays, a travel agency specializing in visits to Tibetan regions like the Tagong area. 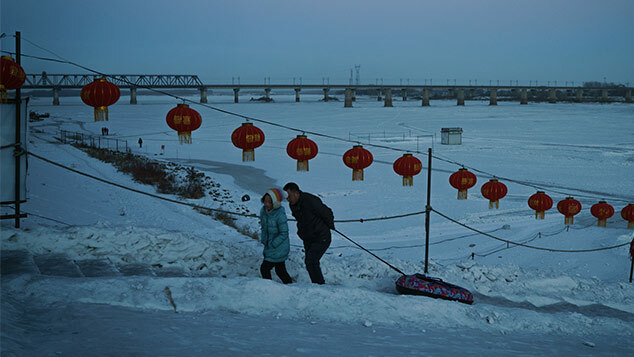 Disputes over land and wealth bring tension to the thin, high-altitude air of Tagong. Collective grazing and land use were once common among the nomads, but now, conflicts over land are cropping up as property values climb. During Sixth Tone’s visit, locals say fresh friction between neighbors surfaced just that week. 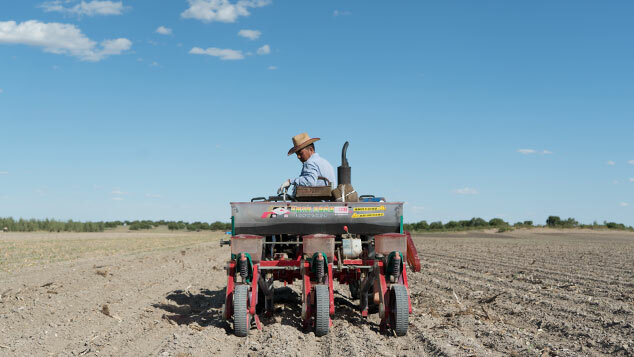 As the promise of wealth emerges on the horizon, old ways of living are losing their appeal, with more nomads prepared to give up the peripatetic life and move to the town — where, they believe, a better life awaits. But those who dream of cashing in on the tourism boom must contend with outsiders — including fellow ethnic Tibetans, Han Chinese, and foreigners — some of whom have already captured the market by establishing guesthouses, restaurants, and tour companies. Still, Kush says, while competition may occasionally inspire envy and bitterness, most locals are supportive of successful entrepreneurs, provided they remain mindful of local sensitivities. The area attracts entrepreneurs from near and far. “Tagong has better business than my hometown,” says Tashi Tsering, a 43-year-old from Pasu Village, just 12 kilometers from Tagong. A former Buddhist lama, Tashi Tsering’s current business card describes him as an “English Speaker” — the product of a decade spent in India. His wife is Swiss, and he also lived in her home country for eight years, working in elderly care. Now, he owns Himalayak, a guesthouse and restaurant that he has registered on more than 20 global booking websites. Rooms at his lodge — which come with their own small padlocks and keys — are basic. But the restaurant downstairs serves a mix of Tibetan dishes with “experimental twists,” Western comfort food, and beverages popular mainly with foreign tourists, such as high-end coffee and imported beer. Tashi Tsering’s British business associate, Mark Kirkbride, has been coming to Tagong for more than a decade and claims he was the first “white devil” to visit some of the surrounding villages. He is confident the area will retain its unique charm. “This will never become hipster,” he tells Sixth Tone. Now, many locals are being spoiled by too many tourists, and everything has turned into products for sale. But the area is certainly changing. Sangyal Kyab, a 32-year-old local who goes by the name Sangyal, says the rivers he used to swim in as a child have dried into mere streams. 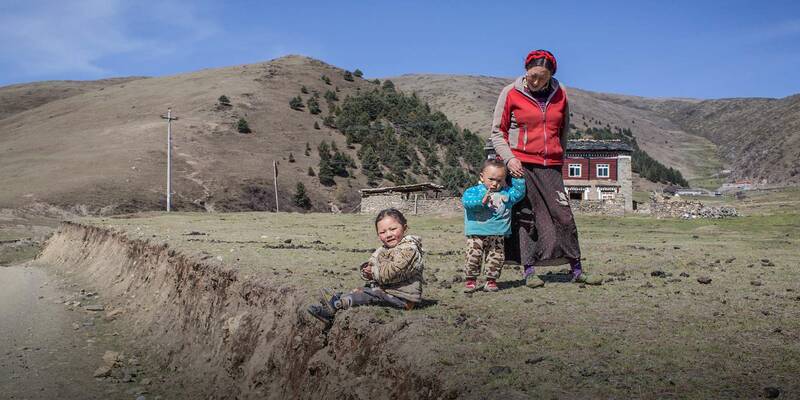 He attributes the deteriorating environment to mining: The Tibetan grasslands are rich in minerals, including lithium, and the area has seen waves of excavation over the years. The town is visibly transforming, too. Sangyal is back doing business in Tagong after years away. On the night of Sixth Tone’s visit, a mix of travelers and locals — including two off-duty policemen — dine at his restaurant in the center of town, while on the floor above, builders put the finishing touches on his boutique hotel. When the hotel opened a few weeks later, Sangyal sent photos of the large, brightly decorated rooms. In one suite, an intricately carved wooden seat rests between the bed and a giant plasma TV. A deluxe king- or queen-size room costs 1,277 yuan per night, while a double goes for 677 yuan. Sangyal comes from a family of nomads, but instead of roaming the grasslands, he traveled across Asia, picking up various skills along the way: At the age of 18, he set off for India, where he learned to cook a range of cuisines before moving on to study music in Nepal. He returned to Tagong when he was 23 but left again a year later for Shangri-La, in neighboring Yunnan province, where he opened a successful bar that is now run by a friend. While many nomads are now selling their yak to move into town, Sangyal says not everyone stays. Some realize they prefer the countryside and choose to return. “The reason is very simple: They just like their life there,” he says. Amid the many changes, Wosar Lhamo is left with mixed emotions. On the one hand, her material prosperity has grown. She has better clothes and a wider range of kitchen utensils. Yet she’s nostalgic for the nomadic life that fostered a different kind of abundance. Contributions: Fu Danni; editor: Qian Jinghua.